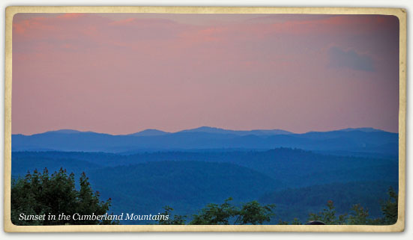 In the Cumberland Mountains, 140,000 acres of unbroken wilderness await your arrival. The largest such parcel of contiguous public property in Tennessee outside the Cherokee National Forest, the North Cumberland WMA encompasses much of the Cumberland Mountains. Clear mountain streams, rare birdlife and majestic wild elk set the stage for this magnificent piece of property, which attracts hunters, anglers, bird watchers and ATV riders. Formerly the Royal Blue WMA and Sundquist WMA, the North Cumberland WMA encompasses both of those parcels, along with the newly added New River tract. The Cumberland Trail passes through a portion of the North Cumberland WMA, which includes properties in Scott, Anderson, Campbell and Morgan counties in Tennessee. Lodging: Brimstone® Retreats 865-617-8127 .